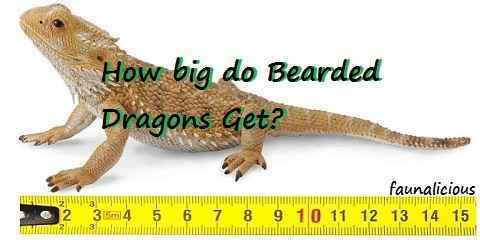 How big do bearded dragon get? Is it only as big as a palm of a hand? Is it going to be bigger and wider like an iguana? Sometimes people would wonder on how big their pet might be for the next 5 months, 1 years, and even 5 years. Some sources state that there is nothing that can affect the size of the bearded dragons would be but some other sources tell that some kinds of your treatment and the ways on how you take care of them and feed them. However, when a bearded dragon / pogona feels stressful, it will bring impacts for its size too. The different size of a bearded dragon depends on how you treat your pet, how big the cage is, how often you feed the bearded dragon, how often you fill the water tank, and what kind of food you give to your bearded dragons. It may sound so easy but it needs patience and also high responsibility when you have decided to adopt a bearded dragon. When you provide a cage which is too big or too small, the bearded dragon would feel stressful about its cage. The ideal cage should be 2 feet x 1 feet x 1 feet for the proper place a bearded dragon could live in. In feeding the bearded dragon, you should have known what to feed and what to skip. It happens because a bearded dragon is unable to handle and digest some kind of fruits and vegetables. Thus for those who think that bearded dragon is just the same as other kind of pet such as hamster or bearded dragon, they are all wrong. 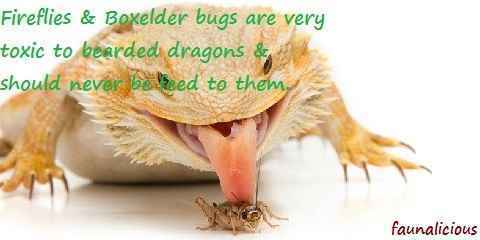 It has smaller stomach to handle fruits and vegetables that is why the most ideal food for the bearded dragon is insects and also worms. The time when you should feed the bearded dragon is also different from each other. 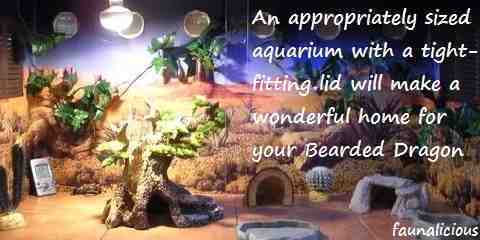 It is differentiated based on the fitness and the age of the bearded dragon itself. When the fitness of the bearded dragon isn’t that perfect then you can feed it once then you have to wait for the fitness to recover back to the way it used to be. For the active and young hatchling, you can feed as much as you can and as often as you please. These could affect the size of the bearded dragon, apart from the general truth that gender also plays the big role in figuring out the size of the bearded dragon. 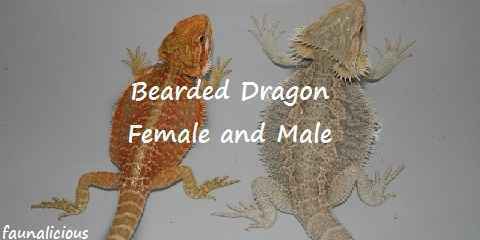 The male bearded dragon seems to be the largest one that would stand out among the female and the hatchlings. It could be around 8 to 16 inches in common. Meanwhile, the female one tends to be shorter that is only around 7 to 14 inches long (18cm-35cm). For a hatchling, it takes a year for them to be able to turn to its full size before growing up and older. This seems to be the best information that you need to do before you wrongly decided to adopt a bearded dragon without even knowing how big do bearded dragons get.